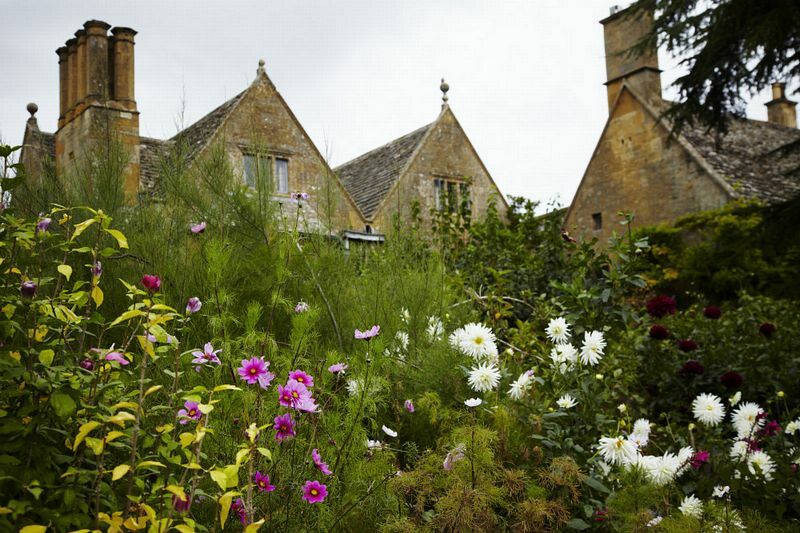 Hidcote Manor Garden is one of those gardens which can only be found in England! 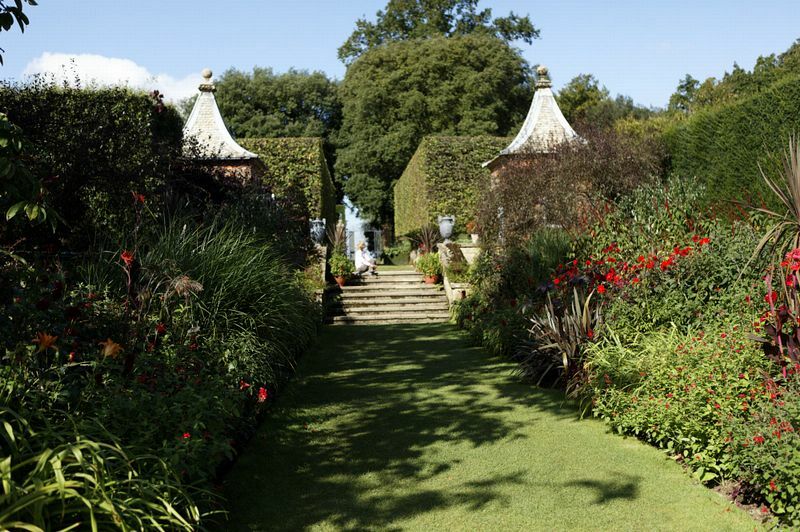 Created by keen horticulturist, Major Lawrence Johnston, on a Cotswold property bought for him by his mother, it is a series of garden rooms with pavilions, clipped hedges, paved paths, topiary and green "doorways" framing one beautiful sight after another. The 10-acre garden was created in Arts and Crafts style to complement the 17th century manor house which stands in the grounds, along with numerous outbuildings and a kitchen garden. with 12 full-time gardeners. When he finally retired to the French Riviera in 1948, he generously donated the garden to the National Trust. Divided into small manageable outdoor rooms, each with their individual character and theme, the gardens are filled with established rare shrubs and exotic flowering trees. The herbaceous borders, a typical English country garden feature, are quite magnificent. Hidcote Manor Garden is somewhere to enjoy in every season. The vibrant primary colours of the spring bulbs give way to azaleas, rhododendrons and magnolias. After the glorious colours of the summer borders have faded, autumn is celebrated in the glorious Red Border. Visitors will appreciate attending one of the free introductory talks and the Head Gardener tours which the National Trust puts on regularly. 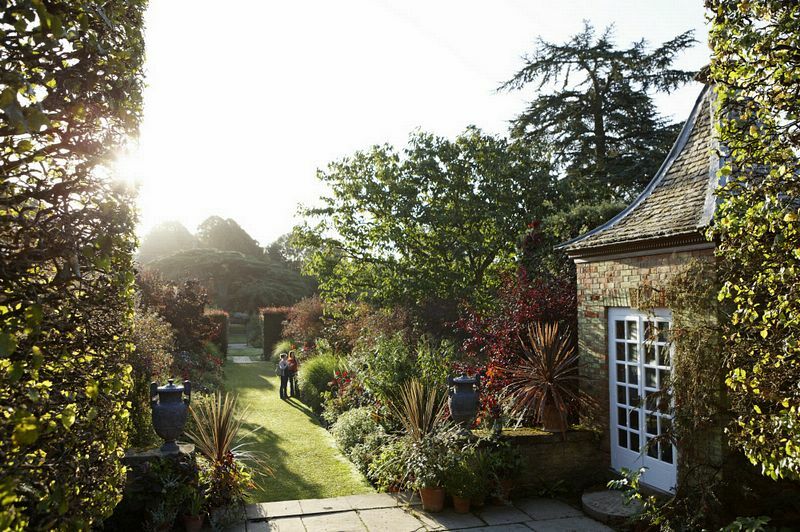 They give visitors an insight into the personal family history and the horticulture, which enhances any visit to Hidcote Manor Gardens. The focal point of the gardens is the central gazebo. Another favourite feature is the large circular raised pool surrounded by pure white roses. Beyond the clipped yew, holly and beech hedges are views across the beautiful Vale of Evesham. adjoining White Garden. There is a Topiary Garden with magnificent specimens and a more practical Kitchen Garden. Stroll along the lawned walkways to the south of the gardens which lead down to a small stream lined with white magnolia trees and blue periwinkles. Iron gates are used to frame the estate beyond, with green glades planted with specimen trees. The famous Stilt Garden lies beyond the two well-photographed red brick gazebos, each topped with a stone ball. The stilt garden refers to the hedge of hornbeams with their lower branches stripped to give a stilt-like effect. In honour of his mother, Johnson created Mrs. Winthrop's Garden, with strong Mediterranean colours, yuccas and Chusan palms. The Pillar Garden includes plants with smooth outlines, like pieces on a giant chessboard. While some garden rooms are precisely clipped into shape, other areas give the impression of natural seeding in a more wild and abandoned style. The colour, fragrance and sense of surprise at each new vista will thrill the heart of visitors to Hidcote Manor Gardens, and amateur gardeners return home with renewed enthusiasm, inspired to try out new plants and different ideas in their own small garden.